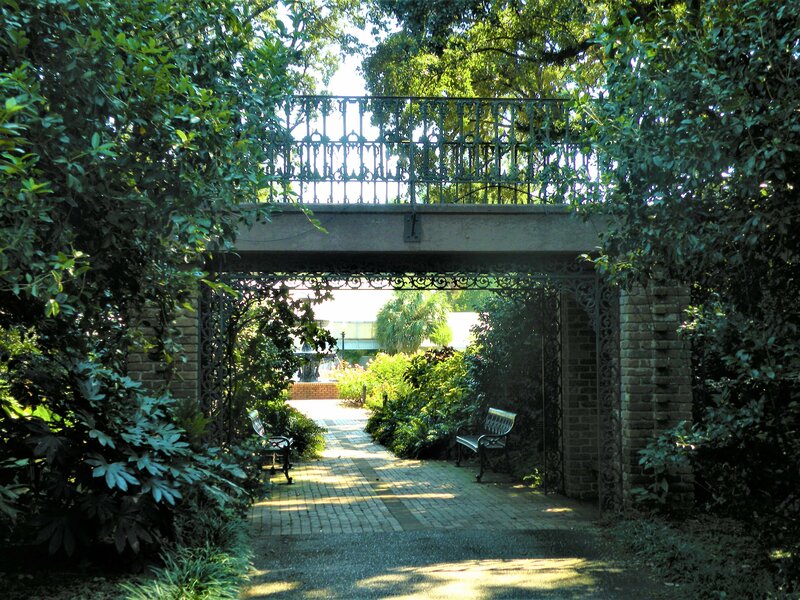 As part of a recent Gulf Coast road trip, we decided to check out Bellingrath Home & Gardens in Theodore, AL (near Mobile). Once a fishing lodge and run down saw mill, the Bellingrath Estate became the primary residence for married couple Walter and Bessie Bellingrath. Their original land purchase in 1917 included 25 acres. Over the decades, they expanded into the sprawling 65 acre estate that visitors flock to today. A 1927 tour of Europe inspired Mrs. Bellingrath. When she came home to Alabama, she knew exactly how she was going to lay out her gardens. She immediately began seeking out azaleas and camellias — blooms the estate still feature prominently. Over the next 10 years or so, many impressive features were added to the property– including their mansion. Wanting to share the beauty of their property with the community, Walter invited the public to tour the grounds in 1932. 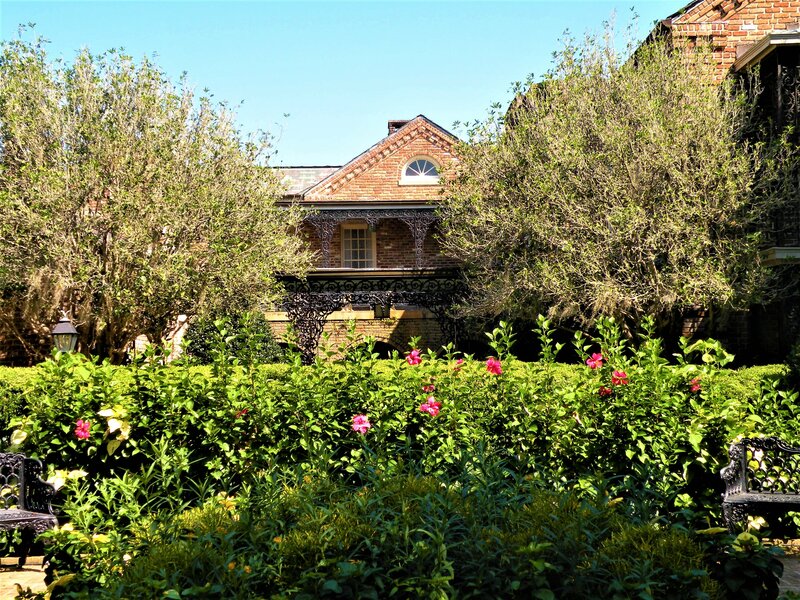 The community embraced the estate so warmly that Walter decided to keep the gardens open to the public year round beginning in 1934. 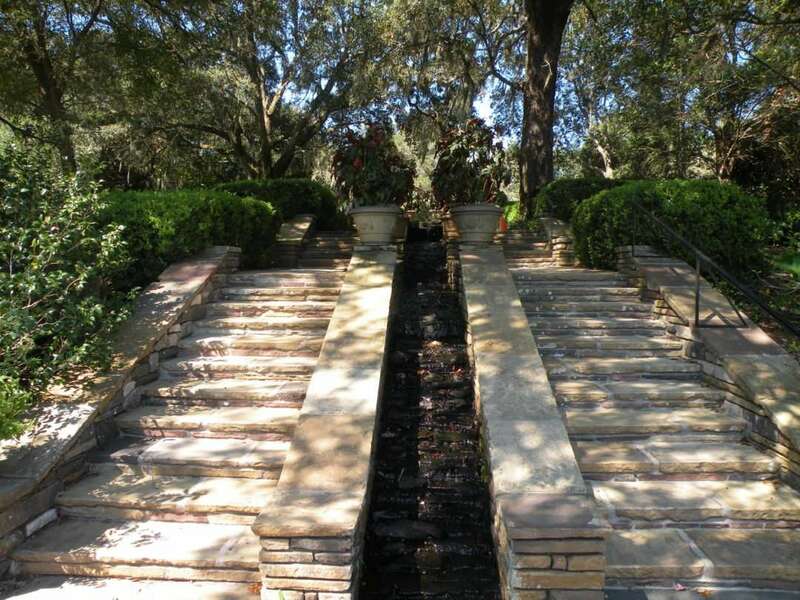 As soon as you leave the admissions building, you are welcomed by this intricate entryway into the gardens. 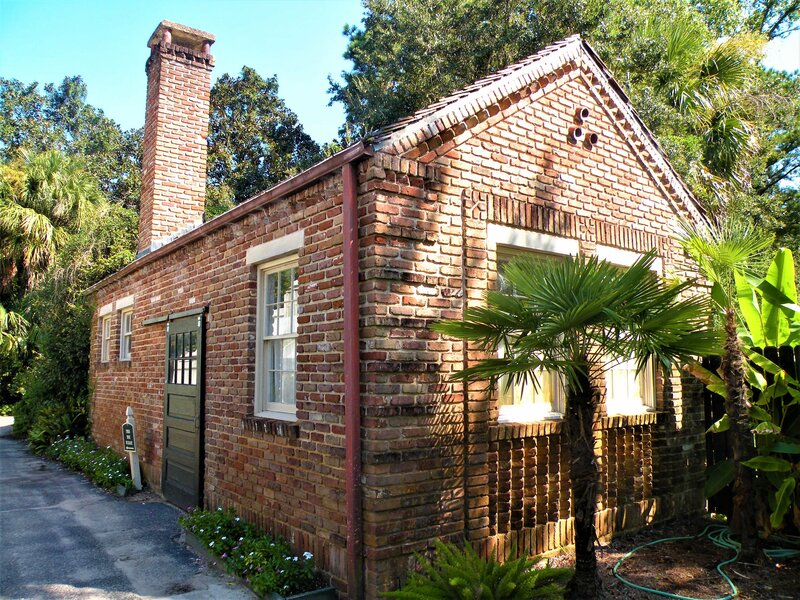 The Bellingraths were very much into antiques and much of their estate was built with salvaged bricks and iron. 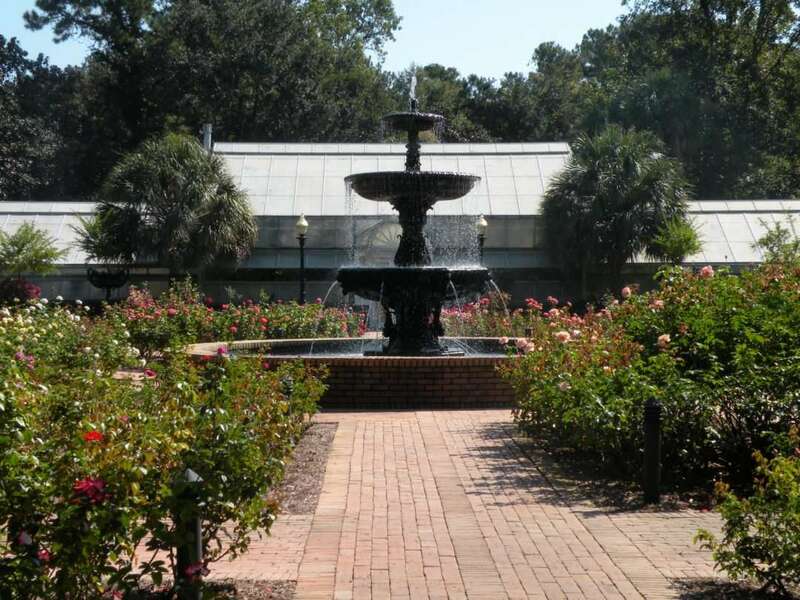 Just past the entrance, you will see an impressive multi-tiered iron fountain in the middle of an enchanting rose garden. A newer feature, this fountain was installed in 2010. Beyond the fountain, is a large, white building– a conservatory. The conservatory was built across 1935 and 1936. The rose garden was also completed in 1936. Walter was a long time member of the Rotary Club. To show his devotion, he laid out the rose garden to be in the shape of the rotary emblem. Even though Alabama has mild weather throughout most of the year, the region does still experience winter. 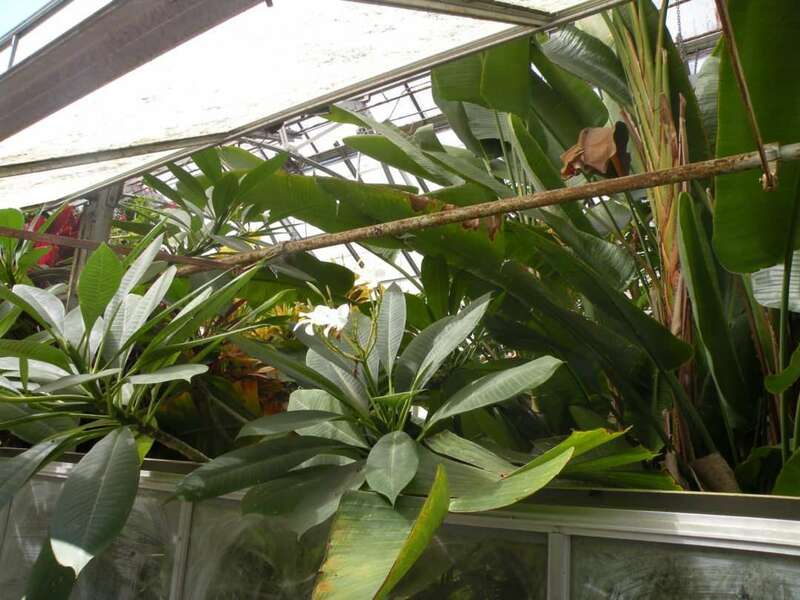 This made the conservatory a must to protect the estate’s tropical plants during the cold weather months. 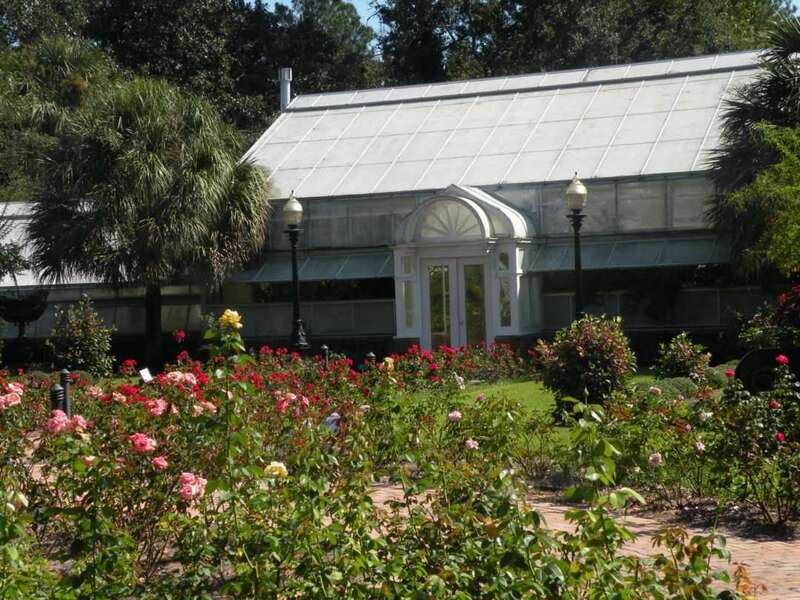 Although the heating system has since been modernized, the conservatory used to be warmed by an oil fired boiler, housed in the brick building below, that pushed steam through under ground pipes into the flower beds. This isn’t your standard greenhouse. From the grand entry way, to the high ceilings to the decorative stone flooring, this one is special. The interior of the building is just as pretty. 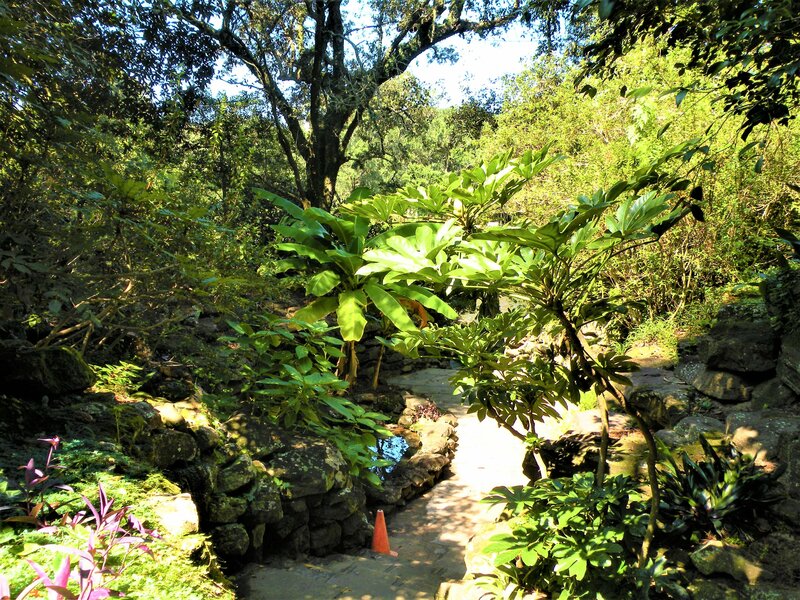 The paths take you through large clusters of tropical flora. 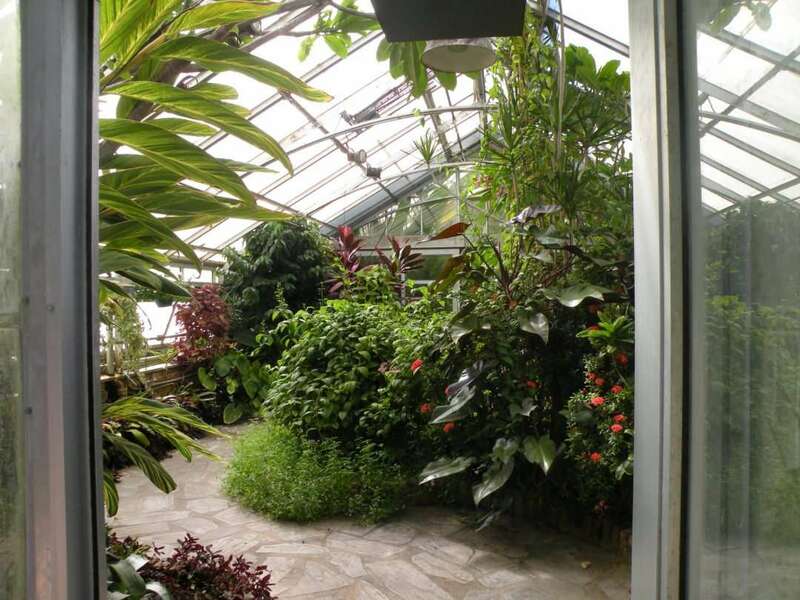 The conservatory is so full of greenery, that the building almost cannot contain it. The plants are reaching for the outdoors through the windows! As we moved out of this area, we were greeted by butterflies and birds chirping. Even though there were other guests on the property, it was very quiet and it felt like we had the place to ourselves. The next wonder we came across was called The Rockery. Always interested in continuous improvement, Mrs. Bellingrath created the feature when the hillside was washed away in a storm. She designed the area and supervised the construction. As you can see by the orange cone, they are still working to ensure its continued beauty (and safety) today. 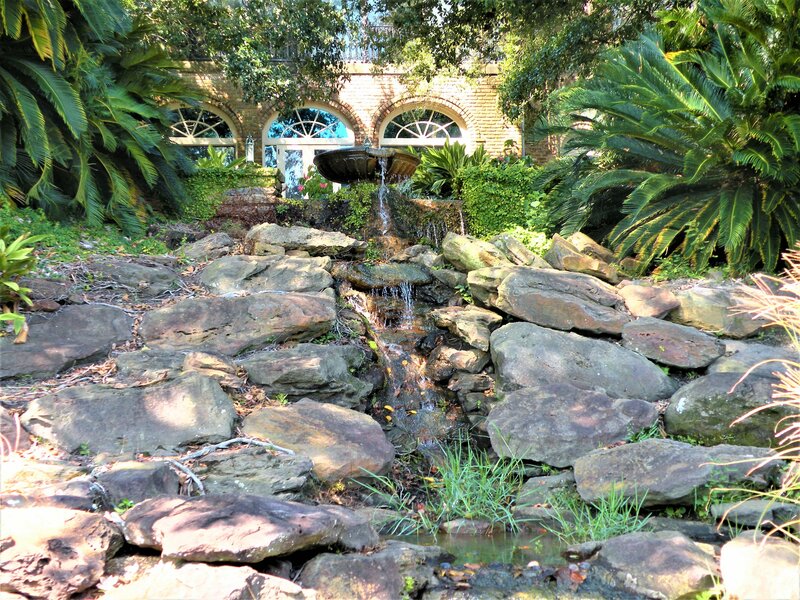 The Rockery was the start of a series of stone and water features on the property. 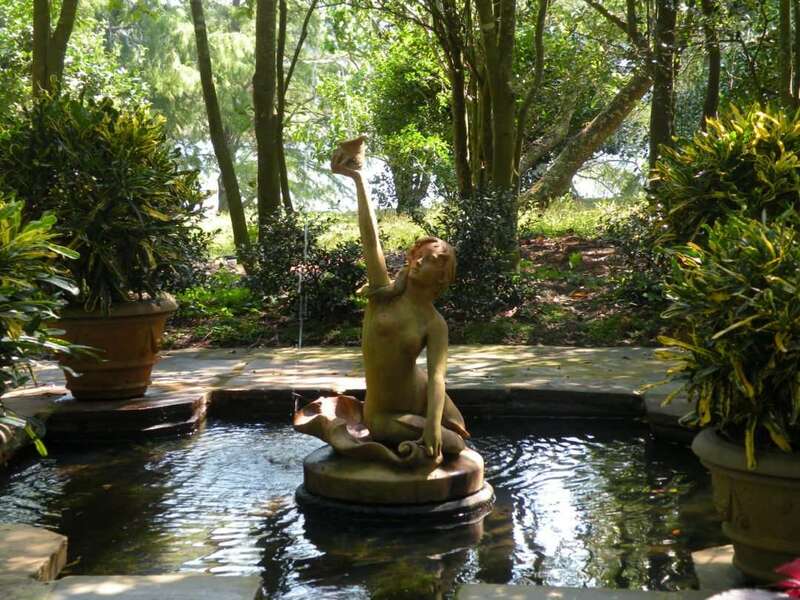 The next section was easily one of my favorite spots from the tour — this breathtaking terra cotta mermaid fountain. The antique sculpture sits in a tranquil pool against a gorgeous floral backdrop. Mrs. Bellingrath acquired the sculpture from an old New Orleans garden. As we walked on, we were continually amazed by the architectural complexity of the gardens. As you can see below, fine stone workmanship was displayed in many interesting ways. The next four images feature flagstones. Mrs. Bellingrath took these stones from downtown Mobile, replacing them with concrete. Not only did she pay for the flagstones, she paid for the installation of the concrete, endearing herself to city officials. 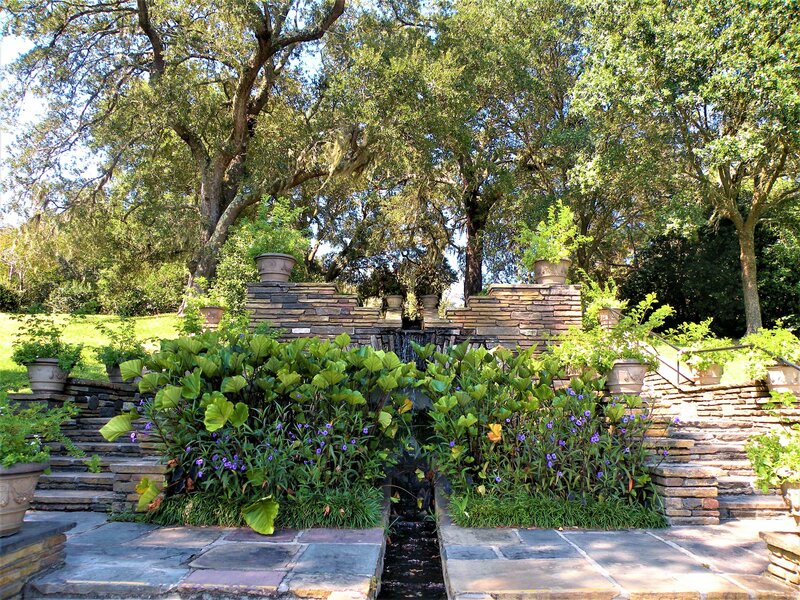 The flagstone installation at the estate was completed in 1931. Perhaps the most striking use of the flagstone was this multilevel dual staircase. Between the two stair cases, there is a waterfall that runs all the way down. 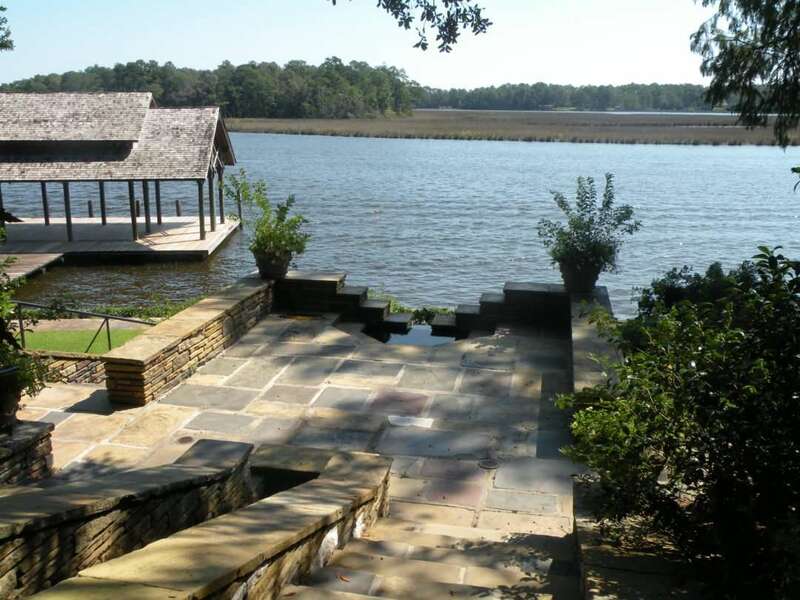 At the bottom of the stair cases, there is a patio area that abuts the beautiful Fowler River. The staircase waterfall flows into this river. Water is also prominently featured throughout the gardens. 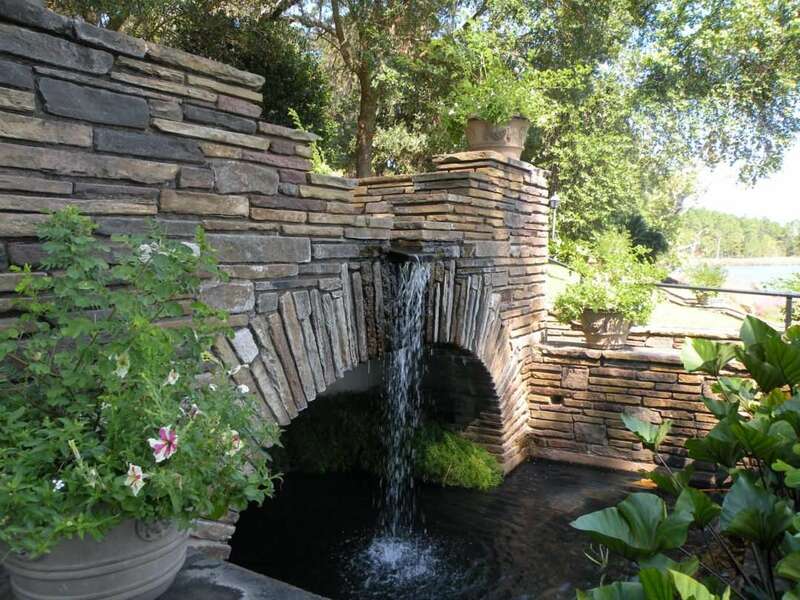 Here is another lovely waterfall into a deep pool. 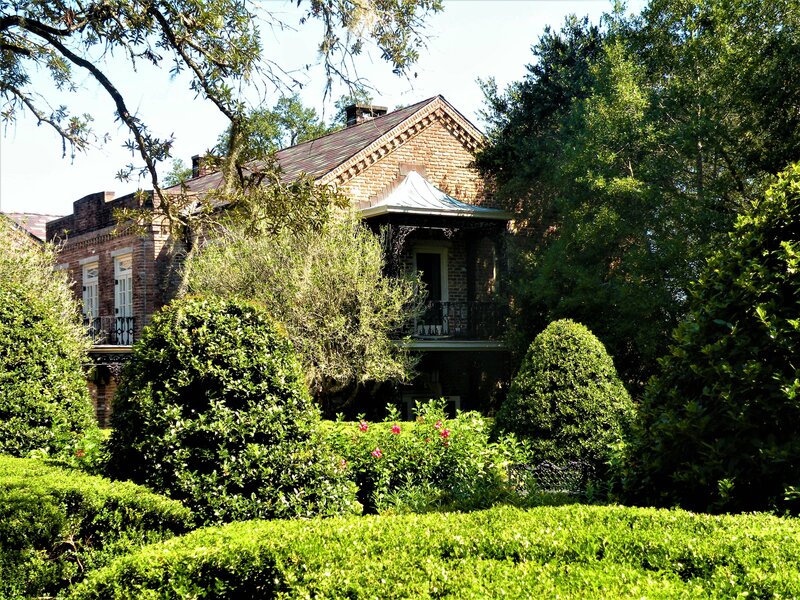 While we did not tour the inside of the Bellingrath Mansion, we walked the perimeter and admired the brick and iron work. The building has been very well maintained and kept as original as possible. Once the Bellingraths realized how popular their garden was with the public, they decided to keep the estate open year round. Previously only living there seasonally themselves, this meant that they needed a permanent, year round home on the grounds. Construction on the mansion began in 1935. The $27 cost of admission was beyond worth it. It was a wonderful afternoon of leisurely walking and admiring the landscape. Mr. Bellingrath’s goal was to make the world a happier place. Sharing his gardens with the world is one of many ways he achieved that. This wonderful story also has an element of romance. In addition to being highly philanthropic, The Bellingraths were very much in love. Walter Bellingrath, let his wife, Bessie, create whatever she wanted in the gardens. It was truly her vision come to life. She unfortunately preceded him in death by many years. In her absence, Walter maintained and improved her gardens as a way to honor her. Walter died in 1955. 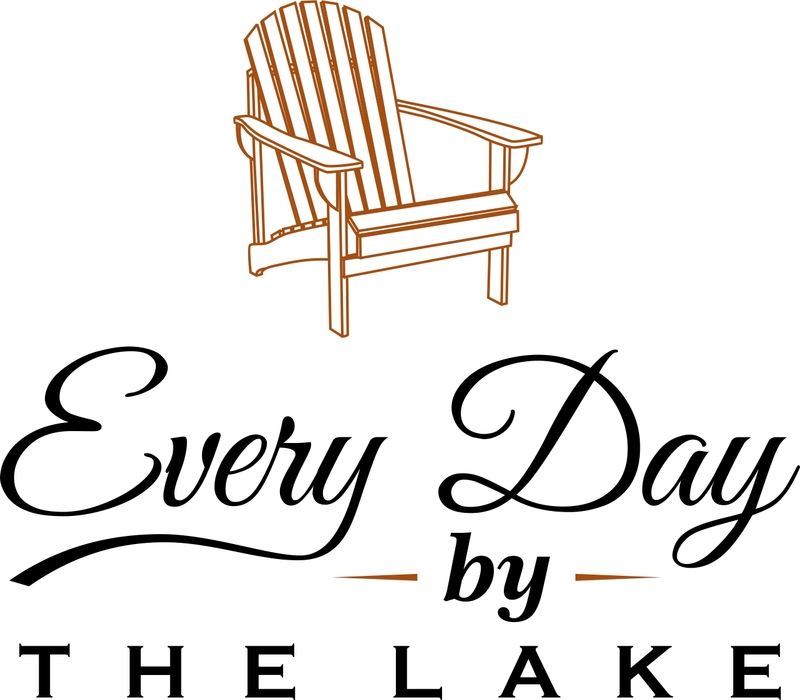 Since then, a foundation has continued the tradition of lovingly caring for the grounds. You can truly feel the caring that has gone into preserving this beautiful estate. Interestingly, while the Bellingraths lived there, the property was called Belle Camp. 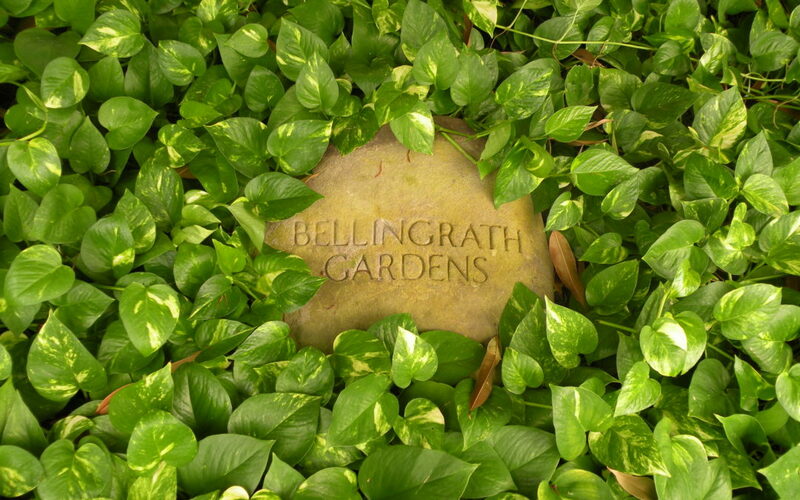 It was not until 1956 that the property was renamed Bellingrath Home and Gardens. No matter what name you call it, visiting these grounds made for an afternoon I won’t soon forget. Want to see more travel adventures? Join us!